The Wests Roosters is the community rugby club for Karori, Kelburn, Northland, Wilton, Ngaio, Wadestown and Khandallah. We have senior and junior divisions and cater for all ages and playing abilities. For Senior enquiries please contact the Club Chairman, Tony Walsh on 027 4345505. For Junior enquiries, click here or contact the Junior Club Chairman Craig Le Quesne on 027 600 3744. 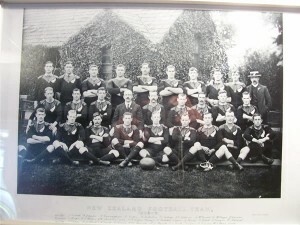 This is a reproduction of the official team photo of ‘The Originals’, the first team to be referred to as the ‘All Blacks’. The team toured the British Isles in 1905, was captained by David Gallaher and played 30 games with one loss to Wales 3 – 0. (This loss was controversial because it is believed Robert Deans did successfully kick the penalty was disallowed). 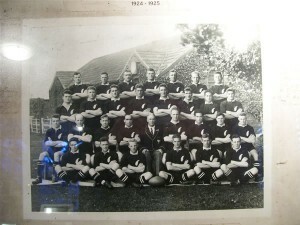 The original photo was taken in Newton Abbot, Devon, UK, in front of an ivy clad building where it appears the 1924 and 1935 team photos were taken. This print is in a silver frame. Offers accepted from $250. Contact sheridan@fresco.co.nz to make your offer. 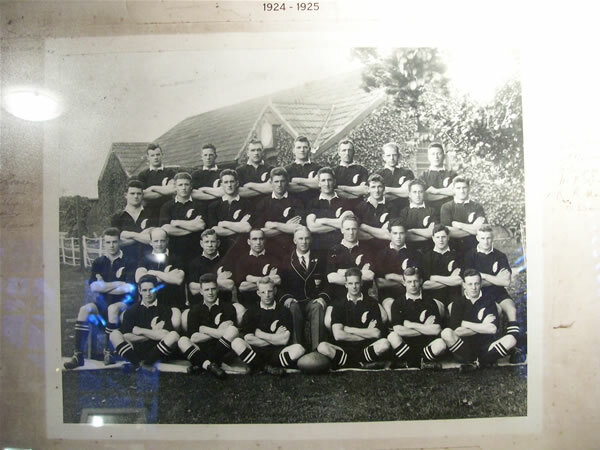 Photographic print taken from the original All Black team photo with all player signatures. The Invincibles were undefeated on their 1924 UK and France tour playing 28 matches with 654 points for and only 98 against. 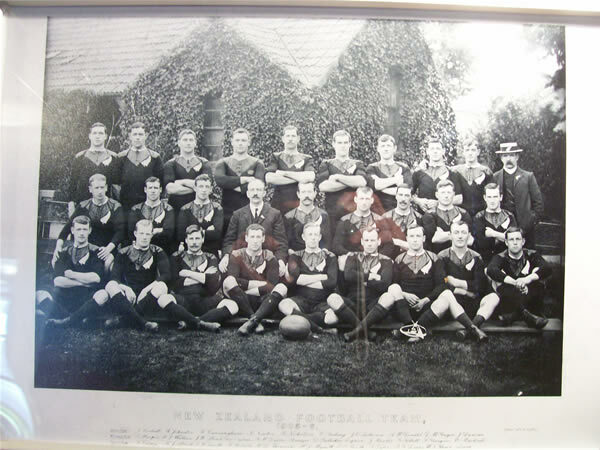 The original photo was taken in Newton Abbot, Devon, UK, in front of the ivy clad building where the 1905 All Black official team photo was also taken. This print is in a black frame. Offers accepted from $250. Contact sheridan@fresco.co.nz to make your offer.